Router: CentOS Server with 1 network card. 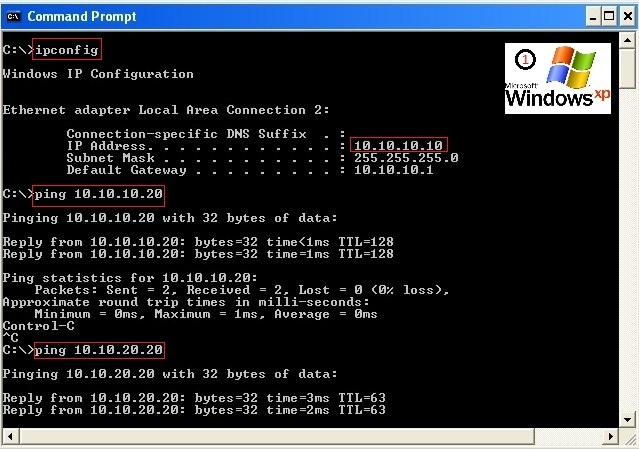 Clients: 2 WindowsXP in VLAN10,1 Ubuntu and 1 CentOS in VLAN20. I followed the steps mentioned but have a problem. I have 2 interfaces, eth0 and eth1. 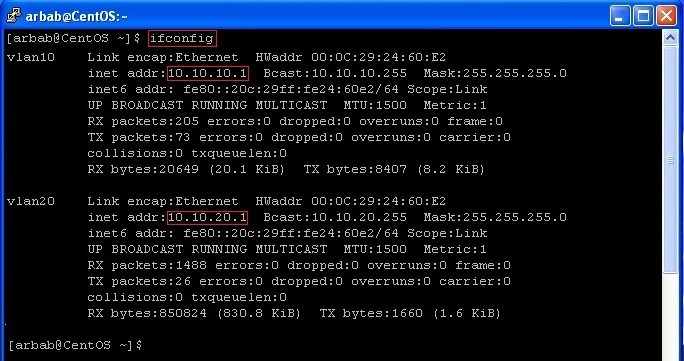 I have connected a desktop(Fedora) to eth0 using a LAN cable with ip 192.168.130.2/24 I am not able to access VLAN host (192.168.130.2) from VLAN server (192.168.130.1) Please help me resolving this issue. nice post everything is perfect. 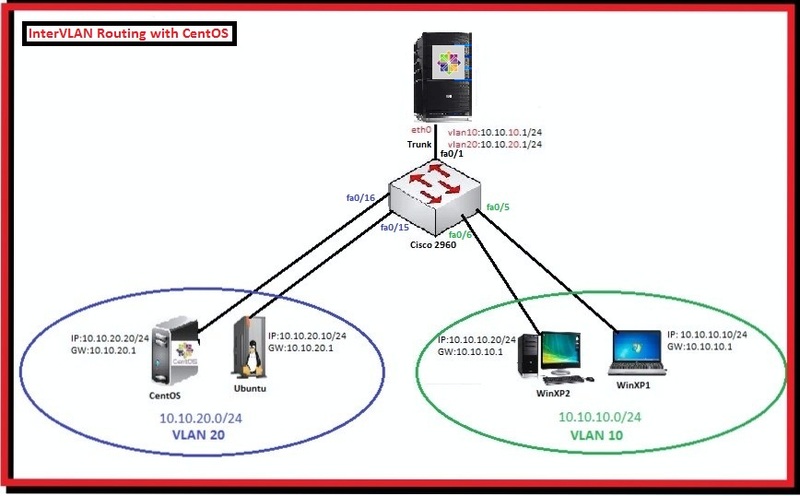 but when i connect dhcp server in vlan dhcp server not assign ip address to other vlan. i am so tired. pls help me as soon as possible. that means i use centos-router as a dhcp server and relay agent.? thanks bro……. thanks brother now working fine.